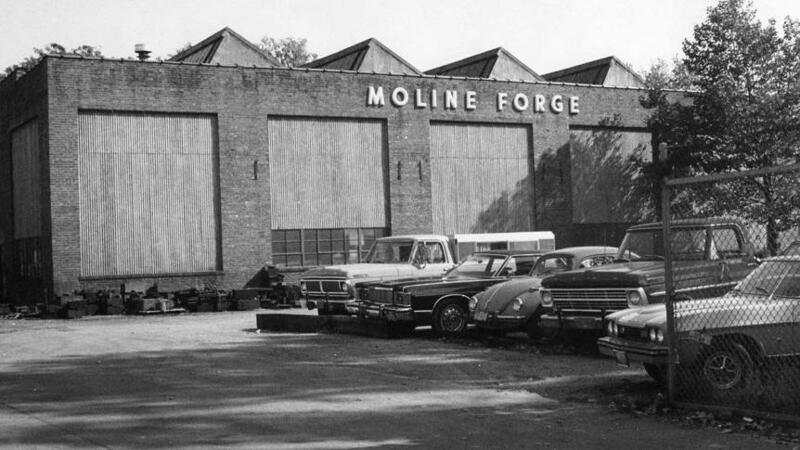 Moline Forge, Inc. was originally started as an offshoot of the Moline, IL machinery builder, Williams, White & Co. Founded in September 1915 as Moline Forging and Manufacturing Co., its sole purpose was producing artillery shell forgings for the Allied Forces during World War I in Europe. Over the course of that conflict, the company turned out between five and six million shell forgings on large mechanical forging machines known as "Bulldozers" built by Williams, White. Moline Forging and Manufacturing Co. began operations in the South Shop of Williams, White & Co. As business grew, the directors looked to the postwar period, purchasing a two-block plant site further east in Moline. Construction on the new plant began in 1917, and was occupied in 1918. By the time hostilities ceased in Europe, Moline Forging and Manufacturing Co. had already developed an additional customer base which was not military related. As the company transitioned to fully domestic production, heavily weighted with farm equipment business, the name was changed in 1920 to Moline Forge, Inc.
Tom Getz, long time President & CEO (1963-2012), was a direct descendent of the founder of Moline Forge, Inc., Harry Ainsworth. Harry was the son of Henry A. Ainsworth, originally from Williamstown, Vermont, who came to Moline in 1870 from Geneseo. Henry had been a successful businessman in Geneseo for fifteen years when he joined the corporation Williams, White & Co., along with founding partners Alfred Williams and Marvel White. Upon his death in 1914, his son Harry followed as president of Williams, White. It was Harry who started the new forging company the following year. In the family tradition, his two sons-in-law, Harry W. Getz and Howard H. Rogers, soon joined him in both companies. Tom Getz is Harry Getz's youngest son. 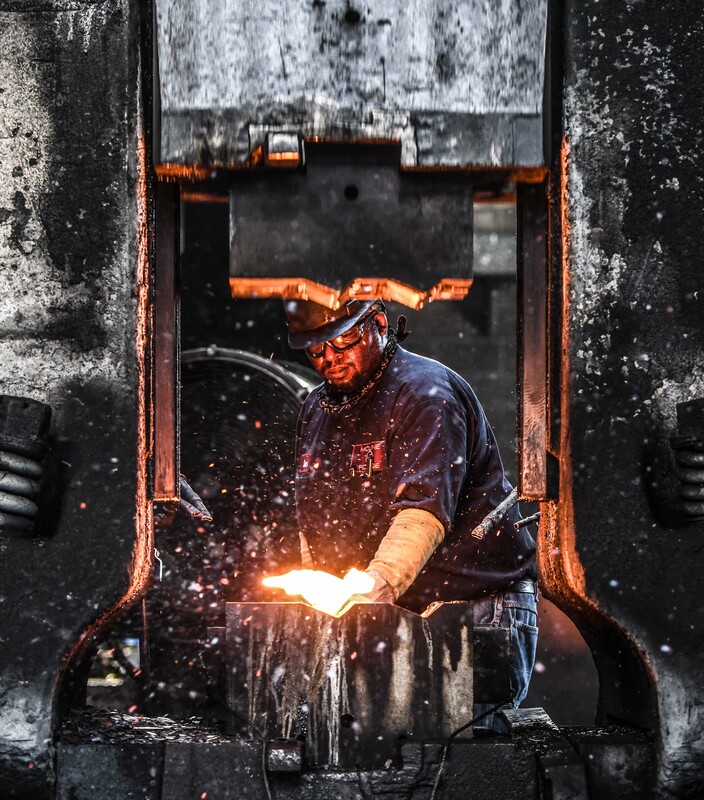 Since 1915, Moline Forge has shown steady growth in producing steel forgings for farm, construction, and off highway equipment manufacturers; railroad and drive train components; as well as compressor crankshafts and conveyor forgings. The forging equipment and plant capacity have been continually updated to keep pace with customer needs, and forging sizes have increased to a maximum of 85 pounds. Moline Forge, INC 2018. All Rights Reserved.